One of the agents who seems to do a very good job of communicating with writers and people desperate to have their proposals read is Nathan Bransford. Up until about two minutes ago, I thought Nathan was still working as a literary agent for Curtis Brown in the US. I used to subscribe to his blog and found it really interesting, especially since it is full of tips for writing manuscript queries. I have to confess, when Nathan rejected my Times of Trouble proposal, I cowardly unsubscribed from his blog. I was having a weak moment, and didn’t unsubscribe in anger, more in acknowledgement that I couldn’t face receiving emails from him about all the amazing work he was receiving, when he didn’t rate my work as amazing. I am human after all. And a writer. Having just checked out his new and improved blog, I see that Nathan has now become an author himself and is no longer a literary agent. Congratulations Nathan! I have been following your blog for the past few months and although I have no idea what ‘The Hills’ is, I really enjoy your daily musings and the discussion it evokes from aspiring writers. (Please blame my unfamiliarity with ‘The Hills’ on my geographic location rather than personality incongruence). Following the collapse of her dream career, Ellen plods through life as a miserable recluse, too broke to move out of home. But when she learns that her estranged sister Sophie needs help and that her mum has hired a private investigator to find her, Ellen is filled with a new sense of purpose. What has scared Sophie so much? Why does the young and inexperienced private investigator turn down Ellen’s offer of help? What do two murders and attempted blackmail in London have to do with Sophie hiding in Sydney ? As Ellen learns more about Sophie’s past she finds that her glamorous, popular sister hasn’t been living her dreams either. Sure, it’s been a long time since she saw Sophie, but she is pretty sure she never dreamt of being a prostitute. When it becomes clear that Sophie has discovered something that is worth killing for, Ellen finds herself in a race to save her sister from the people who want her silenced. Times of Trouble is an intricately plotted crime story which follows Ellen’s transformation into a woman who is brave enough to do whatever it takes to bring her sister home. The plot relies on misdirection of both the characters and the reader, as Ellen finds help and betrayal along the way. Set in London , Adelaide and Sydney , Times of Trouble is approximately 105,000 words long, and is aimed at casual readers who enjoy the intrigue of crime fiction. I noted from your blog that you have a fondness for fiction set in other countries. I’m not sure how much the UK and Australia count as ‘other’ from the USA , but hey, there’s no harm in trying! This is my first novel. I am 28 years old and live in Sydney , Australia . I have a degree in commerce and work in marketing. I am very aware of the need to promote new work and am comfortable with all aspects of publicity and media. I don’t live on beans and rice but I am happiest when writing. Thank you for your consideration. The full manuscript is available on request. Thank you for your recent e-mail and for reading my blog, I appreciate it. I regret to say that I don’t feel that I’m the most appropriate agent for your work. However, opinions vary considerably in this business, and I wish you the best of luck in your search for representation. Suitably polite, and vague. Thank you for responding Nathan, it might sound sarcastic to say it, but I really do appreciate it. It’s when you don’t hear back at all that you feel most disappointed. Below is a rejection letter I received from Broo, agent at the Wade & Doherty Literary Agency. This one also came via email two days after I sent my proposal. I’ve never worked out if Broo did read my work, or if this is an automated rejection letter. I’ll probably never know! Many thanks for sending me this material, which I read with interest. I considered it carefully but I’m afraid on balance it just doesn’t quite grab my imagination in the way that it must for me to offer to represent you. So I shall have to follow my gut instinct and pass on this occasion. I’m sorry to be so disappointing, but thanks for thinking of us. Of course this is a totally subjective view, so do keep trying other agents and I sincerely wish you every success with it elsewhere. Thanks so much for your query, but your project is not for me at this time. Best of success in finding the perfect advocate for your work. Thank you to everyone who responded to my queries. I truly appreciate you all. Each and every one. I wrote a book proposal for Times of Trouble many times during the few weeks I spent trying to find an agent or publisher. 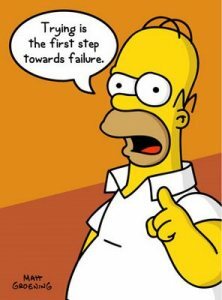 I did a lot of research into the best format for the proposal, wrote and revised it more times than I can remember, and soon realised that each agent and publisher seems to have different requirements for what they will accept. Some want just a synopsis, two pages double spaced. Others want one page double spaced. Some want three sample chapters and a short paragraph introducing the work. Etc. Below are the first few paragraphs of a one page synopsis (double spaced). Excuse me for not including the entire thing, but it gives away my plot! (Which of course it is designed to do!) I still hope that Times of Trouble will be read by people, and if I give you a preview that tells you how the plot wraps up, it sort of defeats the purpose. “Times of Trouble is a crime story, where a young woman embarks on a mission to save her sister from mortal danger. But how do you find someone who doesn’t want to be found? Ellen Goddard is devastated by the failure of her career as a concert pianist and has lapsed into a world of obsessive compulsive counting in an attempt to ease her anxiety. But not even numbers can keep her calm when she discovers her glamorous sister, Sophie, is being hunted by murderous thugs. Sophie’s boyfriend Danny is dead, and she is desperate to disappear before she becomes the next victim. Her family are unaware she has been working as a prostitute in London… (I removed some words here)… But one of these clients does not take threats to his business lightly, and is killing anyone who risks damaging his profits. Ellen’s mum has hired a private detective, Liam Kingsley, to find Sophie, and he has tracked her from London to Sydney. But when Ellen meets him, she is unsure if he can be trusted, and decides to join the search. The relationship between them is uneasy, shifting between cooperative and hostile. Liam seems only interested in finding Sophie and is strangely emotional about the case. Ellen thinks they also need to find the people who want Sophie dead. I am a 28 year old who has never read Twilight, and never will. I worship the crime writer royalty of Rankin, Rendell and PD James. That’s why I am writing crime fiction. My generation deserves something better than vegetarian vampires. I believe I would be a good fit with your organisation as I get the sense you are interested in commercially viable projects that maintain a creative substance. 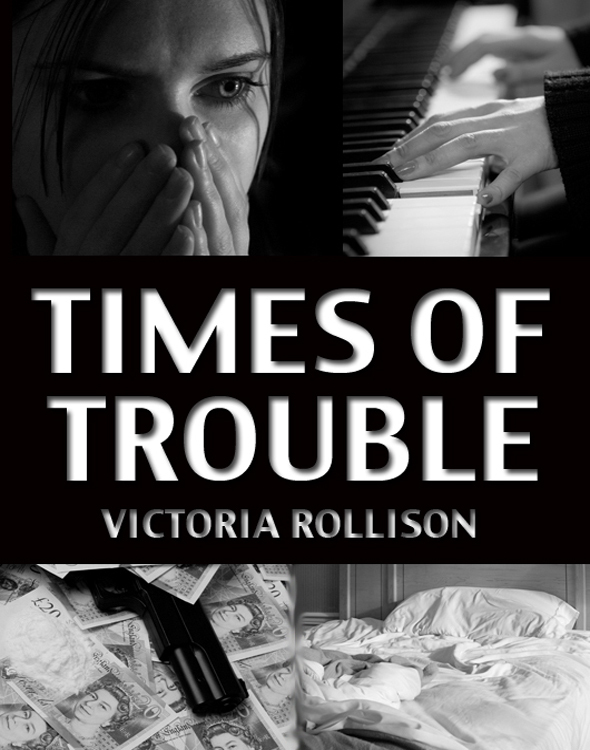 Times of Trouble is the first in a planned series. As requested, I have attached a synopsis and the first three chapters. The manuscript is complete at 105,000 words and I can also provide a marketing plan and a positive manuscript assessment on request. Thank you for your submission to Affirm Press. Unfortunately, we have decided not to publish it. I, too, am a fan of crime – and the premise of your novel is an interesting one. I think you need a longer opening scenario, to fully engage the reader (surely she seems a bit callous just throwing her phone in the Thames after her boyfriend is murdered?) Similarly, Ellen comes across as a wholly neurotic young woman (how many questions does she ask in the first pages? ), and this is a little alienating for the reader. I hope this feedback is useful. Good luck with your future writing. I was quite pleased with this rejection email. Firstly, because it is clear that the publisher took the time to read my sample chapters. That’s a leap over the first hurdle surely! I, of course, don’t agree that is it problematic that the opening scenario is vague – I personally love a vague prologue. I wrote it with the hope that readers would wonder why the character is so callous as to throw her phone away having heard her boyfriend being murdered. Mystery coupled with curiosity. Isn’t that what crime novels thrive on? I’m also unperturbed that she found Ellen wholly neurotic. Tick. Ellen is neurotic. A flawed, and hopefully likeable hero. I think what I’ve just written makes it sound like I am totally inflexible in receiving feedback and taking it on board. Perhaps I am a little inflexible. But if I were going to make changes to my book based on this feedback, Ellen would need to be completely redrawn (which would mean changing the entire book) and the first chapter would have to give plot elements away that would destroy the mystery so I don’t see much point in doing that. Either way, I am grateful to Affirm Press in responding to my query. Thank you. My next fews post will include more rejection ‘letters’ that I received from agents and publishers for my manuscript – Times of Trouble.